The Carlson Cabin in Yelm at 301 West Yelm Avenue was constructed in 1945, so I’d consider it old but perhaps not historic. 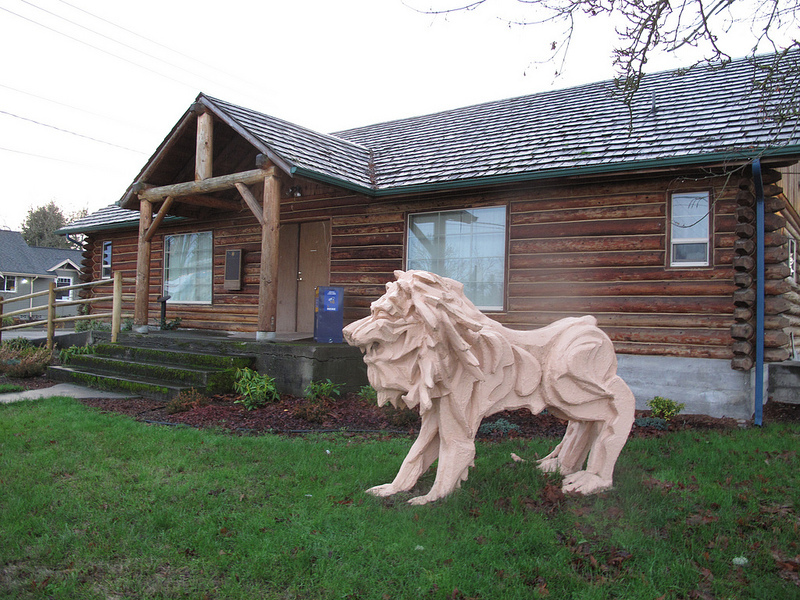 It was constructed by Yelm’s Lions Club and Axel Carlson (co-owner of the Sundown Logging Co.) made all of arrangements. The logs were hand hewed. The space is used for Lion’s Meetings, Scout Meetings, weddings, parties and other social events. The Yelm Lions Club, which was chartered in 1939, offers a free dinner every Thursday to anyone who is hungry. This entry was posted in Art -- there is art here!, Community Space, Non Profits, WA State - Thurston County, Yelm and tagged Carlson Cabin, chelm, Clu, historic, Lions, old, Salish, shelm, WA State - Thurston County, Yelm on December 2, 2012 by admin.